Will a family champion really help? In the build up to this year’s election, each party had something to say, to a greater or lesser extent, about family matters. For some it was at the heart of a number of manifesto points. For others, it was a footnote that had to be mentioned but was not high on their political agenda. Fast forward seven months and not a lot is any clearer. There had been talk about new benefits/tax breaks for married couples but that has gone quiet of late. We are still (yawn) waiting for the Family Justice Review Panel to report back but, as I have said previously, it is a lengthy and unwieldy process – and the focus of outputs around it appears to be firmly on legal aid. So it was with a mixture of relief and trepidation that I watched Prime Minster David Cameron’s address the other week about helping families. And I think, in the end, it was encouraging. Speaking to the family guidance charity Relate, Mr Cameron said that no family should be beyond help and he made a commitment to offer them “practical and modern” support, flagging that parents with bad relationships are more likely to have a child in poverty, failing at school and ending up in prison or out of work. Some broad assumptions maybe, but the recognition that relationships have far reaching affects and can be made better with the right help is good. It was also good that he acknowledged that a relationship is “defined not by its shape but by the love and support that's in it”. Again, good stuff. 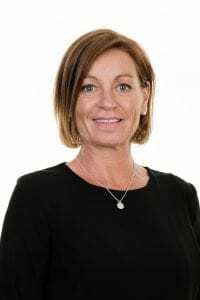 However, there was less of a commitment over detail and delivery, other than to announce the appointment of Emma Harrison as “family champion”. Emma is currently head of welfare-to-work training company a4e and well-placed to take on such a role. However, surely this is a poisoned chalice with an impossibly wide remit? Perhaps more focused thinking, looking at one key aspect of support for families and those suffering relationship problems, is what is called for. It has a better defined scope, thus targets are better defined and funding is clearer. Broken families and the associated costs for some, either though legal issues, short term support or longer term cultural change, cost the taxpayers millions each year. It seems the Government is recognising this and showing that its heart is in the right place. However, it is also clear that effective changes are along way off.